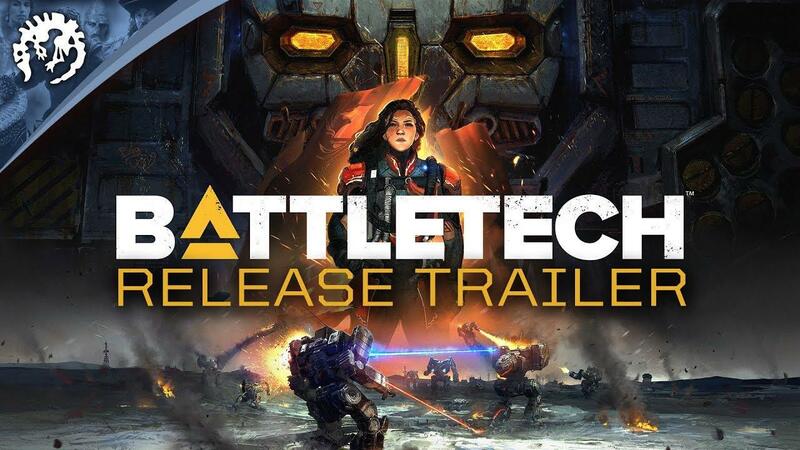 We've had a number of users get in touch about BATTLETECH [Official Site] and we have a small update for you in regards to the Linux version. Back in June, Harebrained Schemes stated that they were making "good progress" with the Linux version. However, we haven't really heard from them since then and so it seems Linux gamers were starting to get a little worried. We are still working on Linux but it's proving to be more difficult than we expected. We should have another update on when we're targeting the release soon. It's another game using the Unity game engine and it seems yet another developer having difficulty. But a core component of Unity is it being cross platform. Had this been just about any other engine I'd just file it under just another of them hassles that a new platform can provide, but Unity... It's more or less their entire business idea, isn't it? So, the cause for this, and all other similar cases, would be interesting to know! Not to point fingers, but simply out of curiosity. Also it would work as a current state of affair in regards to how platform independent Untity really is at this stage. Meh. I could say a lot about this, but I don't know if care anymore. This makes me also worry about the coming 7 days to die alpha 17 ... didn't the fun pimps switch to the new version of unity too? Does it help when we send feral-marc-now-at-unity some love in form of cookies? And yeah, Beamboom is right. It’s hard to make Unity games perform right on any OS (BattleTech for example drops to single digit fps every time something explodes) and if the engine is not as easy to make multiplatform games with… Why bother? There are other free game engines out there. I didn't draw that conclution though I just ask because it's interesting to know. There could be other reasons, 3rd party middleware is one major suspect. Althorion There are other free game engines out there. I wouldn't really hold it against them if multiplat development in Unity still requires some competence in multiplat development in order to work properly. I'm just curious as to exactly what the challenges they meet are... Are they mundane, type "mouse behaves differently" type of annoyance, or are they more complex? 99% sure it's some middleware plugin that's causing their problems. Would be easy enough to check if someone owned the thing and therefore could check what additional software it uses. Somehow I'm not surprised by a vague, non-commital response here. The incredible delay and lack of communication (Comstar not allowing certain words through their HPGs it seems) means that if (and I do mean "if") it's ever released on GNU/Linux, I will not purchase at full price. Severely disappointed in this developer. A bit dissapointing to hear. You´d think these issues that many developers have, would be reported back to the "unity team" and at some point the engine would be patched to adress the majority of problems. Unless, of course, the game engine is just something to blame while the real problems can be found elsewhere. On that note, I wonder what´s taking "Life Is Strange: BtS" so long. I´d expect that game shouldn´t be much different from the original title, which is already ported. Quote We are still working on Linux but it's proving to be more difficult than we expected. And soon: "The Linux release is cancelled because of too many difficulties... Sorry guys but thanks for your money!" I mean their 5 games are all on Unity, they should know these problems now. If BATTLETECH won't have a Linux version, I think they won't be Linux friendly anymore. I wonder what the difficulty is, exactly? Is it the Unity Engine itself, or did they use some proprietary middleware that is poorly/not supported for Linux?